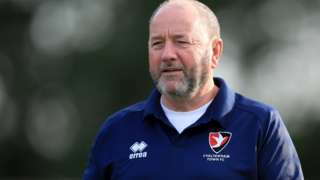 Torquay United appoint former Yeovil, Bristol City and Cheltenham Town boss Gary Johnson as manager. A trailer came loose from Jack Retter's tractor and smashed into a car, killing a woman. South West Ambulance Service say note left is "wonderful"
South West Ambulance Service have said it is "wonderful" that their front line staff have been acknowledged after a note and £10 was left on an ambulance. Crews returned to their vehicle to find the kind gesture after attending an incident in Bideford. A spokesman for South Western Ambulance Service NHS Foundation Trust (SWASFT) said: “We really appreciate this lovely gesture. "It’s wonderful for our frontline staff to be acknowledged in this way. A handwritten note and money for paramedics who do an "amazing job" has been left on an ambulance. South West Ambulance crews returned to their vehicle to find the kind gesture on the windscreen after attending an incident in Bideford. The letter left with a £10 note reads: "We would never complain about you guy's blocking our drive because you all do an amazing job. "P.S have a coffee on us." In a tweet, SWAS said: "What a lovely gesture." A person has been rescued from a fire in a property in St Ives. Emergency services are currently dealing with the blaze in Chapel Street. Cornwall Fire and Rescue Service have warned of heavy traffic in the area. Up to £170m of Cornwall Council funds could soon be spent on redeveloping a site in Truro city centre. Pydar Street is currently home to former council offices, several businesses and a multi-storey car park, but new plans could see the area transformed into 300 homes, student accommodation, shops, leisure space and a boutique hotel. A report featuring the proposals will be discussed by the county council’s cabinet next Wednesday. 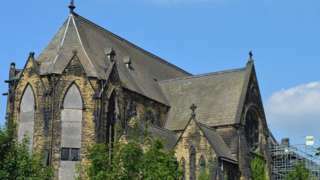 Previous plans to redevelop the site were put forward several years ago, but failed to gain support. The railway mainline between Exeter and Crewkerne is due to close for nine days for work starting this Saturday, Network Rail has announced. The closure will allow the company to deliver a £9.5m flood prevention scheme in the Axe Valley. The Environment Agency predicts that the project will reduce the risk of flooding on the line by 400%. A replacement bus service will be in operation for the duration of the project. Network Rail is asking passengers to check their journeys before travelling. A grandmother who died after her car was hit by a runaway trailer was the "centre" of her family, her daughter-in-law has said. Carol Broxholme, 59, from Wellington in Somerset died when a trailer became detached from a tractor being driven by a Devon driver and crashed into her in March 2017. Jack Retter, 21, from Monkton, admitted causing her death by dangerous driving. He was bailed by the judge and will be sentenced later. Ms Broxholme leaves behind a son, two daughters and twin grandchildren. Her daughter-in-law Jo said she was the "centre of our family, she was our rock". Her son Luke said "no sentence will be enough because my mum is never coming back". "Thousands of pounds" worth of art has been stolen from several galleries in Dartmouth, police have said. It's believed the items were stolen from galleries in St George's Square and Foss Street on 7 September. Two "big and recognisable" bronze statues, named Toby and Marrise, and worth about £3,000 were taken from White Sails Gallery. On the same day, a large antique clock valued at more than £1,000 was taken from Simon Drew Gallery. The clock is described as antique blue and white, about 2ft (60cm) tall. A further report was of the theft of a hare sculpture from Baxters Gallery. 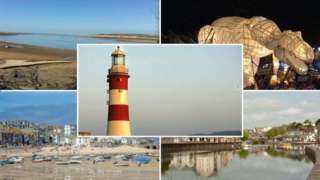 The Cornish landmark now has an officially recognised apostrophe, following a council vote. A young Devon tractor driver has admitted causing the death of a grandmother after a crash involving a runaway trailer in Somerset, a court has heard. Jack Retter, from Monkton, was pulling a trailer with his tractor when it became detached after a spring came loose and smashed into Carol Broxholme's car. Tests showed the trailer, which Retter had just bought, had 17 defects and should not have been on the road. Retter, who was 19 at the time of the crash but is now 21, admitted causing the death of the 59-year-old grandmother by dangerous driving. 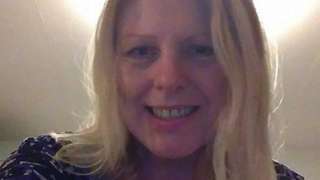 He also admitted causing serious injury by dangerous driving to her daughter Sherryann when he appeared at Taunton Crown Court. Retter was bailed by the judge and will be sentenced later. The government is set to reveal details later of its plans for British agriculture after Brexit. The Environment Secretary, Michael Gove, says the introduction of the Agriculture Bill is an historic moment for the UK as it leaves the EU. The plans will look at how a "green Brexit" - where farmers will be paid for "public goods" such as improving access to the countryside or taking action to reduce flooding - will be delivered. It also includes plans to make cash available for farmers who invest in new technologies and boost productivity. But many farmers in Devon and Cornwall remain unsure of their future. It will be a mostly dry afternoon with clear periods and patchy cloud cover. There is a small chance of an isolated shower later and it will feel cooler. 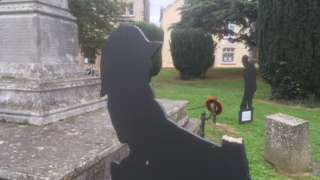 Seven of the 10 'silent soldier' statues in Axminster have either been damaged or gone missing. In Plymouth, Hyde Park Road is partially blocked by an accident near Hyde Park Junior School. There's slow traffic in the area. In Plymstock, Mountbatten Way is partially blocked and there's slow traffic due to an accident near Princess Avenue. A bronze cross will be permanently installed in Truro Cathedral on Sunday. The Finn Cross has been handmade by the former principal of Falmouth College of Art, Michael Finn. Canon Philip Lambert commissioned the artwork in 2009 following Finn’s exhibition of bronze crosses in the cathedral. An afternoon service will see the modern sculpture dedicated and installed in the side chapel of St Monica. Torquay United has announced the departure of head coach, Gary Owers. In a statement, club chairman, Clarke Osborne said he was "grateful" for the hard work and commitment Owers showed in the role but acknowledged "consistency" hadn't been found on the field. "Professional football is demanding on both managers and players and it is fair that our supporters expect success on the field. "I am sorry that despite our strenuous efforts and providing the financial resource necessary, we have not found consistency and are now behind where we expected in our intended journey to the top of this division." The club said it was working hard on securing a new manager. It is with huge regret that I leave Torquay United. I am sorry that we have not found the success that we planned for. I am grateful for the support I have received at all levels and have really enjoyed my time at Torquay United.